The Canadian Senate, our Senate, has just released its report on the "management" of grey seal populations on Canada's East Coast and recommends spending millions in taxpayer dollars on an "experiment" that is so incredibly flawed that, whatever the result, it will be entirely unreliable. Without going into details of how it should be done and the costs that taxpayers should bear -- both economic and ethical -- the report calls for a cull of an astounding 70,000 grey seals. Compassion for animals is the heart of our work, and it's difficult to think of the mass scale of suffering that this grey seal cull will produce. But let's for a moment analyze this from a different perspective -- a scientific perspective. The first recommendation made by the Committee -- that the Department of Fisheries and Oceans (DFO) should identify recovery targets and timelines for depleted fish stocks -- is a good one. Canada's efforts towards cod recovery have been -- to put it bluntly -- pathetic, and this was both acknowledged in the Senate report and heavily criticized in the testimony given by Dr. Jeff Hutchings, a leading marine scientist. For example, the cod stock in the southern Gulf of St Lawrence -- the stock that this proposed seal cull is supposed to benefit -- has been under pressure from a commercial fishery for most of the past decade, with DFO deliberately allowing quotas and catches to exceed the level that fisheries scientists have said was sustainable. After allowing commercial fishing to keep this stock in a perpetually depleted state, and without proper cod recovery strategies, it is completely unethical to even consider culling seals. The second recommendation of the Committee -- acknowledging that there are major scientific research gaps that need to be filled -- is also commendable. Unfortunately, it is not made clear that these gaps must be addressed before any attempts to cull are made. Several other recommendations in the report have already been widely criticized by the scientific community, starting with the idea that a cull of grey seals could be conducted as a scientific "experiment." Think of all the variables that are in play in this experiment. There are the cod, the grey seals -- and every other animal in the ocean. Animals that may feed on cod, or on grey seals, or on whatever cod and grey seals feed on, or on whatever those animals and plants may feed on. Then there are the environmental variables: ocean currents carrying the cod's preferred food, pollution, disease, climate change. That web is incredibly complex and intricate, and if any of those variables are altered -- and it's certain that one or more will be -- then the "experiment" is for naught. 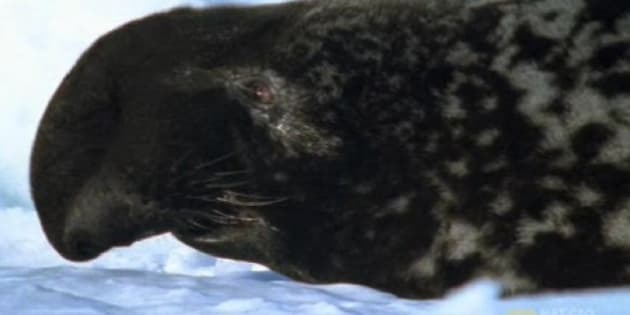 The report goes on -- and this is where it gets really perplexing -- and says that a commercial hunt would be preferable to a cull and that any plan should be based on viable domestic and international markets for grey seal products. Apparently the Committee members were sleeping during the presentations of several witnesses -- including DFO, sealers, and fishing industry associations -- who pointed out what many of us already know; that there are NO viable markets for grey seals, and there haven't been any since we stopped lighting our street lamps with seal blubber. Millions of dollars of government funds have been invested into business plans, coping studies, and marketing efforts for grey seal skins and meat for almost two decades -- all of them have failed. In fact, the commercial hunt of grey seals last year landed zero animals out of an allowable catch of 60,000. Saying that a cull of grey seals could ever be supported by viable markets is nothing more than a pipe dream. The last two recommendations plunge even further beyond belief. The suggestion to add unregulated seal oil supplements into the next iteration of the Canada Food Guide and will undoubtedly raise controversy, should it ever be taken seriously. Last and certainly not least, the Senate recommends re-opening the shocking proposal to shoot, bulldoze, and incinerate tens of thousands of grey seals on Sable Island and on the Eastern Scotian Shelf. This recommendation is despite the fact that the Committee heard "there would be little public support for the removal and disposal of thousands of animals from Sable Island." Ironically, this is the area with the highest population of grey seals AND one area where cod are beginning to show a recovery, perhaps due to the fact that a commercial fishery has not been reopened in this area since the moratorium. The only outcome from this "experiment" that seems certain to me is this: in four years' time, we'll be even more sure that spending millions of dollars in taxpayer money to conduct an experiment in the wild was an idea so terrible that it's difficult to fully describe its foolishness. And when we accept that a grey seal cull cannot be conducted as an "experiment," and is not based on any science, we come back to the suffering. Thousands upon thousands of grey seals to be shot and clubbed to death, all that suffering...for no reason other than to satisfy political interests. If you're as outraged by this as we are, Please SEND A MESSAGE to Fisheries Minister Gail Shea, asking her to unconditionally reject all calls for a grey seal cull. You can also read IFAW's report on the implications of culling grey seals.